There’s something so thrilling about the Olympics that it’s hard not to be a huge fan. I’ve attended several Olympics in LA, Barcelona, and London. While extensive media coverage dominates the airwaves , I don’t recall any of the reporters mentioning the importance of olive oil to the Olympics and the athletes. 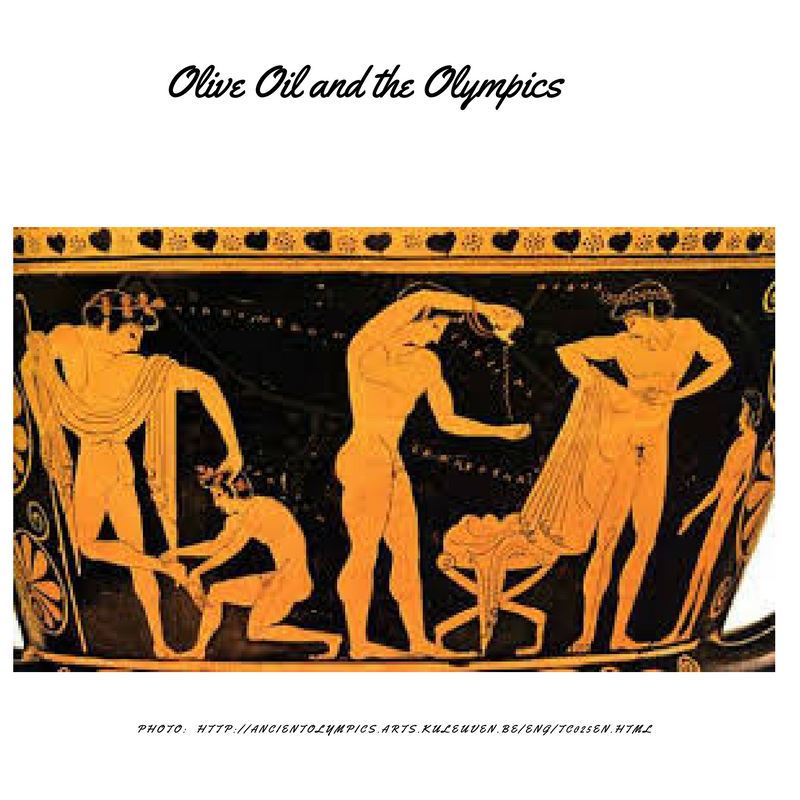 Olive oil and the Olympics is a fascinating story with a deep history dating back to the beginning of the first games in Greece. In fact, the Olympic flame is still ignited using a mirror and olive oil. Wrestlers used olive oil on their skin to reduce their opponent’s grip. Runners were often massaged with olive oil before their race in the belief that the wisdom, power and strength of the Goddess Athena would be bestowed upon them. While women could not participate nor attend, it was the duty of the priestesses to light the oil lamps in the temple of Zeus with olive oil. Read more in this article: Olive Oil and the Olympics that I wrote for The Olive Oil Source in 2012 before the London Olympics.